Is this our first hint of a new Samsung Gear VR? Samsung has made a big play for mobile VR, partnering with Oculus and at various points giving away a free Gear VR headset with its flagship phones - so it makes sense that it would want to continue building its VR presence with the Samsung Galaxy Note 7. Trouble is, that phone's rumored to have a USB Type-C port, while the current version of the Gear VR connects via micro USB. Samsung could bring out an adapter, but buyers would probably prefer a headset built for them, and it seems that's exactly what they might get. 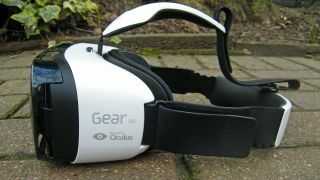 A new version of the Gear VR has seemingly popped up on Zauba (an Indian import database). The listing, which was spotted by GalaxyClub.nl, doesn't reveal much, but it's for a Gear VR device with the model number SM-R323. As the SM-R322 is the current version and the SM-R321 was the previous model logic dictates that this will be a new version. The presence of a new model adds weight to the rumor of a USB Type-C connection in the Note 7, since that seems the most logical reason for an upgrade. However there are other possible reasons, such as the dimensions of the Galaxy Note 7 perhaps making it incompatible with the current version. Other than being built to fit the Note 7 this new Gear VR may well be exactly the same as the old one, but we're hopeful that Samsung will have worked to improve it. It could certainly stand to be less bulky for a start. Assuming this really is a new model it should land soon as the Galaxy Note 7 is expected to launch on August 2 and Samsung is likely to want a compatible VR headset to launch with it. It might even give them away free with the phone.